The sun was shining bright and the temperature outside was absolutely perfect! As soon as I met Gabby & Stan, I immediately connected with them. 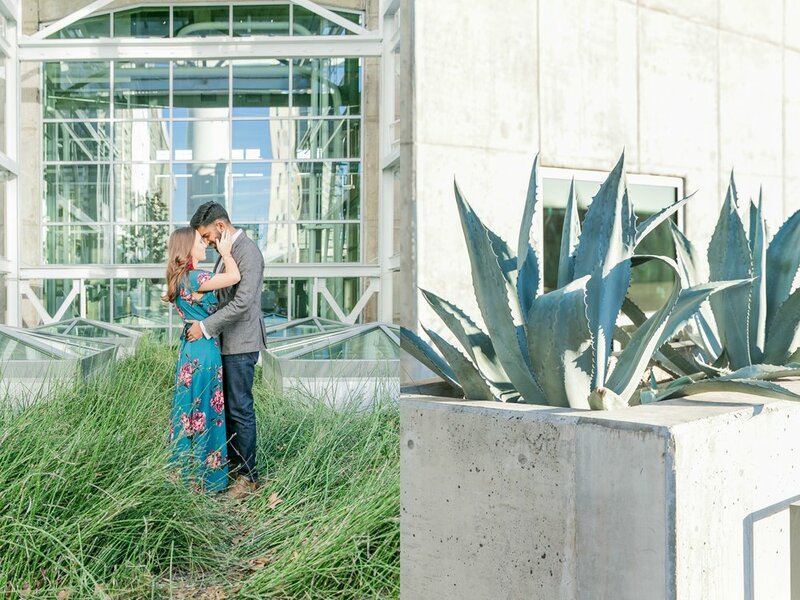 They were so excited and full of joy that day & I was thrilled they were open to my suggestion of trying out a new place to begin their session. Over the past few months, I drove past the Seaholm Power Plant several times, noticing the manicured greenery & the gorgeous row of agave plants that lined the street. I have been wanting to take my clients there for a while now & I am so grateful Gabby & Stan were up for the adventure. As I walked around the area, several places I noticed were just asking to be photographed-the black & white wavy wall with greenery clinging to it, growing towards the sun and the white walls with frosted blocks for windows with pipes coming out of the side of the building. The building had been freshly painted white and the industrial stairs, thick rivets & bolts all created a space that was honestly a photographer's dream! Gabby & Stan were just as thrilled with the area & we were all singing Seaholm's praises as the session continued. After experiencing this great new location first hand, I looked in to the history of the space a bit more & what I found was quite interesting. The stunning 1948 building was commissioned to be Austin's new power source & at the time & was able to produce over 100 megawatts of electricity. This building has since been renovated in to a 130,000 square foot commercial space & the National Register of Historic Places has recorded this structure as a Texas Historic Landmark. As time went on, other power sources were created in the City of Austin & Seaholm's systems were not needed by 1989. After sitting untouched for many years, the City of Austin looked to destroy the building by 1997, but with the help of Seaholm Power, LLC & partner, John Rosato, they created a team & a plan to restore the 7.8 acre site to what it is today. The team was careful to celebrate the original architecture by preserving the turbine hall and several boilers. Now, the Seaholm District is a mixed space, some open to the public and some areas are rented out. Also, this district is home to many Austin residents in the new high-rise residential tower & also several restaurants, stores and even Trader Joe's. This project and the history behind the Seaholm Power Plant & new 7.8 acre area makes me happy knowing what was once so vital to the City of Austin's infrastructure has been recognized, respected & restored to give back to the community in a fresh new way. After getting to know these two a bit more, I learned they met while both working for the same accounting firm. Gabby explained how another friend of hers who also worked with her asked Gabby who she thought was cute at the office. When she said "I think Stan is cute", it was the first time she began seeing him in a different light around the workplace. Stan explained, they enjoyed working together and they began to develop a deep friendship and he admitted he too thought Gabby was attractive. 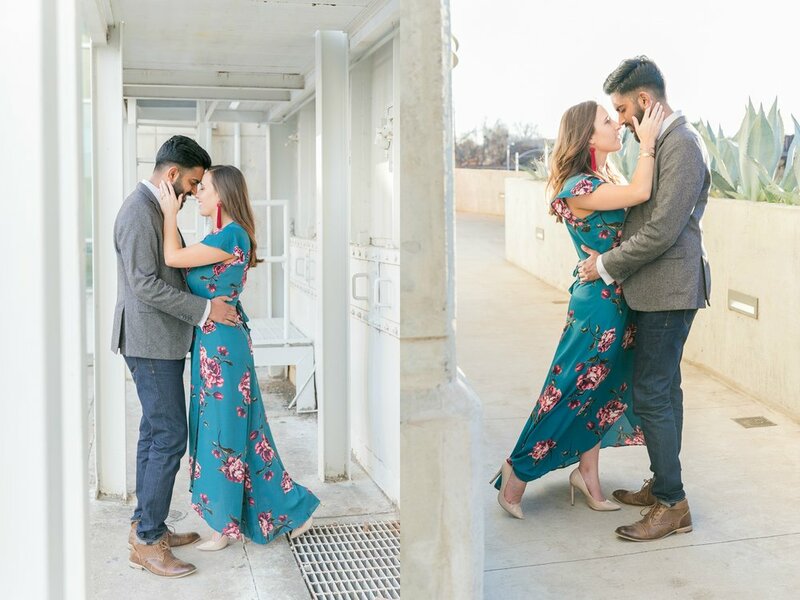 The two work at different companies now, but they explained the beginning of their love began all because of accounting and an insightful friend to simply ask Gabby a question....so happy she asked! I'm convinced the electricity these two brought to their session could've powered the Seaholm Power plant one last time! 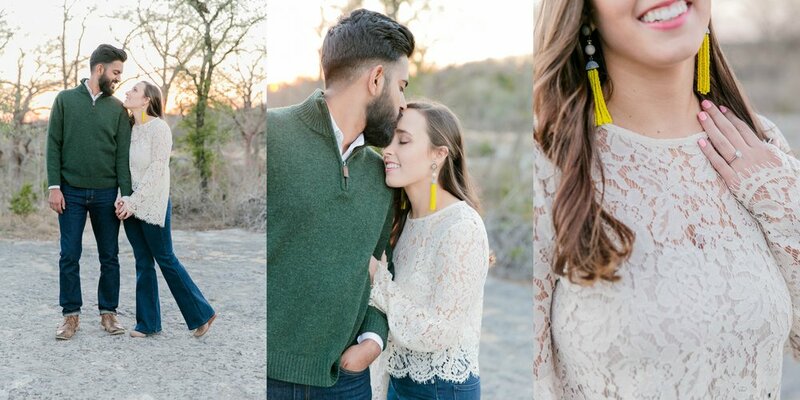 The glow of the sun shined perfectly on this sweet couple as we finished up our time at Seaholm & we headed to our final destination at McKinney Falls to end our session. Can I also mention how amazing these two were at their stunning outfit selection - extra points for the gorgeous dress and fun tassel earrings! The love these two have for one another is so clear to me by the way they talked with each other, treating one another in such a calm manner and with distinct & purposeful respect. 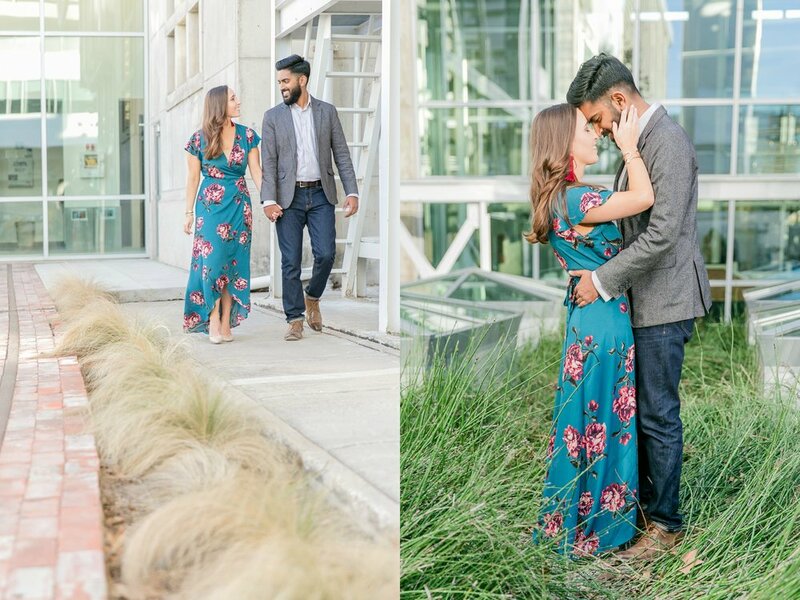 They were all smiles throughout our session & it was such a pleasure to photograph these two & capture this special chapter in their lives. 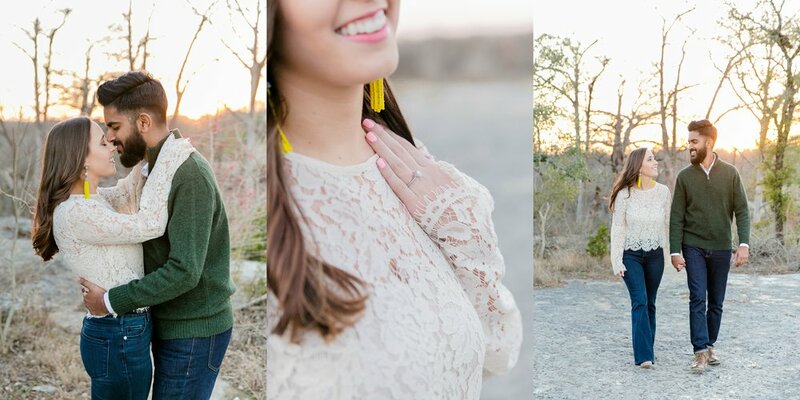 I am so excited to be your photographer! I cannot wait to be there for your big day in June. I can only imagine the genuine smiles you'll both bring to your wedding day professing your love for one another in front of all your friends and family. God is good. Can't wait!